What is The Highest Return Investing in Top Malaysian Funds over The Last 10 years? Morningstar is a a leading provider of independent investment research around the world. 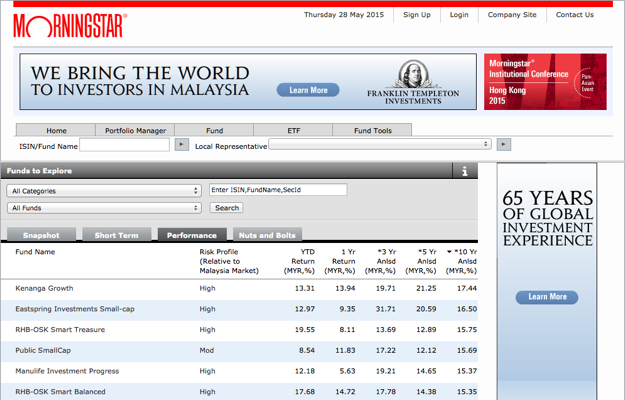 Based on its website, there are 620 investment funds (mutual fund, unit trust, bond fund, etc) in Malaysian markets. Here are the performance records of these 620 funds as of 30 April 2015. You can download the full list here Morningstar Malaysian Funds as of 2015 April 30 (excel .xlsx file). 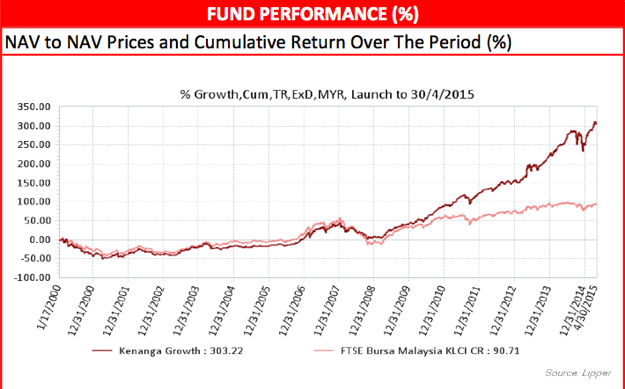 So what is the highest return from top Malaysian funds over the last 10 years? The answer is 17.44 % annualized return over the last 10 years generated by Kenanga Growth fund. A compounded return of 17.44 % over the last 10 years will turn RM 10 000 into RM 49 906.88. It multiplies your capital almost 5 times. The second best answer is 16.50 % annualized return from Eastspring Investments Small-cap. And the third best fund is RHB-OSK Smart Treasure which is giving 15.75 % annualized return over the last 10 years. It is quite a rewarding return after all. Out of the 620 funds, there are only 220 funds that are older than 10 years. That are around 35.48 % (220 / 620 * 100 = 35.48) out of the total funds that last for more than 10 years. Within these more-than-10-year-old-funds, 57 of them are returning 10 % or more annualized return. That are around 25.9 % (57 / 220 * 100 = 25.9). 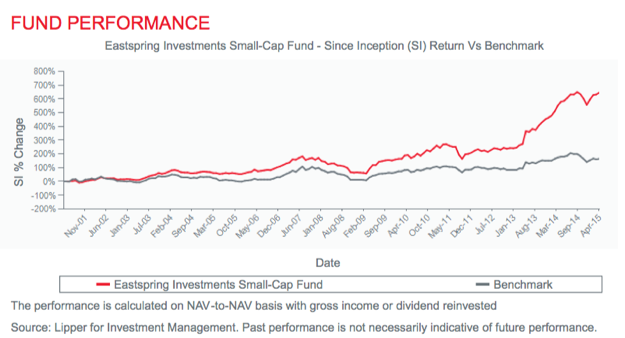 Assuming that no fund got killed at all during the investment lifetime (ignoring the survivorship bias), that means there is 1 out of 4 chances that the fund you invest in would have a return of more than or equal to 10 % annualized return if you simply holding it for 10 years. That is a no-brainer investment strategy: just buy and hold. The returns between 2 % and 12 % are more common. If we look further still, from the table and chart above, none of the more-than-10-year-old-funds actually loses money. They all have positive returns after 10 years. So, the longer term we invest, the less chance we lose money. Of course, the lowest return, which is 0.37 %, is lower than the inflation rate. It means the investor’s money is worth less than 10 years ago. So there is still (invisible) risk involved. Further data like how many funds got killed during last 10 years is needed to complete the picture. But I can only see what I have access too. Disclaimer: There is no recommendation to buy any fund mentioned in this post. Before making any investment decision, the readers need to do their own research and assessment. This entry was posted in Investment and tagged Finance on May 28, 2015 by Chok Leong.